It's time for Turnbull to brush off those negotiation skills. Pauline Hanson's One Nation has won four Senate seats. Pauline Hanson's One Nation has recorded a better than expected result in the Federal Election, with a total of four senators entering parliament, creating an even larger crossbench for the government to deal with. The government's job is now even harder than before in the Upper House, with 11 crossbenchers and a reduced Coalition force in the Senate, with 30 LNP senators rather than the 33 they had in the last parliament. The Coalition will need the support of nine of the 11 diverse crossbench senators to get to a 39-vote majority and pass legislation. The 2013 Senate included 33 LNP, 25 Labor, 10 Greens and eight independents, meaning the Coalition has lost three seats to the crossbench. One Nation will have two senators in QLD and one in NSW, while its fourth -- Rod Culleton, in WA -- may face scrutiny over his eligibility to become a senator, as he is awaiting sentencing for larceny charges in NSW. Section 44 of the Constitution sets out that anyone convicted of or awaiting sentence for a crime punishable by imprisonment of one year or longer is ineligible to become a senator or MP. The charge of larceny carries up to five years' jail in NSW. 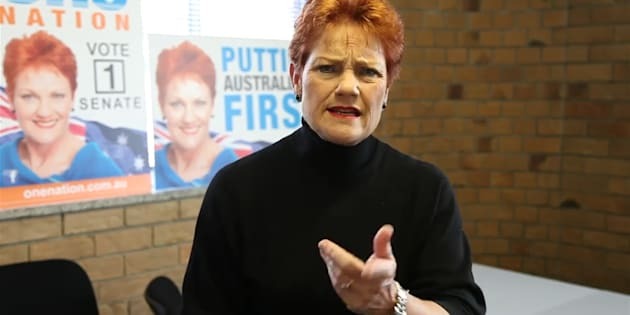 Polling experts had predicted that One Nation would pick up one seat each in QLD, NSW and WA, but the second QLD seat was a surprise, having originally been tipped to go to a Liberal Democrats candidate. If Culleton is permitted to become a senator, it would mean One Nation becomes the fourth-largest contingent in the upper house, behind the Coalition, Labor and the Greens. David Leyonhjelm of NSW and Bob Day of SA retain their seats, despite conjecture that they may have missed out, as does Jacqui Lambie who recorded a strong vote in Tasmania. Nick Xenophon added two more of his Nick Xenophon Team members to the Senate in SA, while broadcaster Derryn Hinch also joins the Senate as a new face.